A Masterpiece, embroidered and assembled by Jeannie Summers. "What I liked about this method is that when you are done – you are done. There is no finishing work to do – no backing to add. " 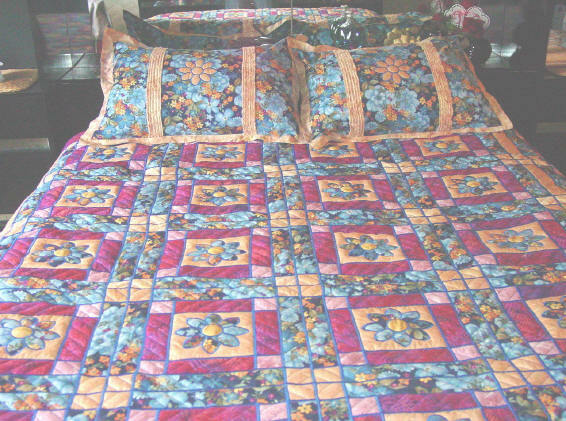 This Quilt is made out of the 6x10 set's panels. You can also make it out of the 5x7 set, you would just need to make more blocks to cover the same area. 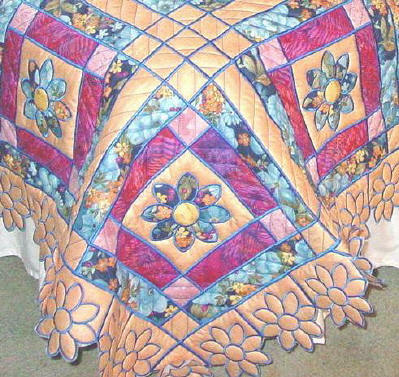 You can use the Quilt lines provided, or opt to leave them out. 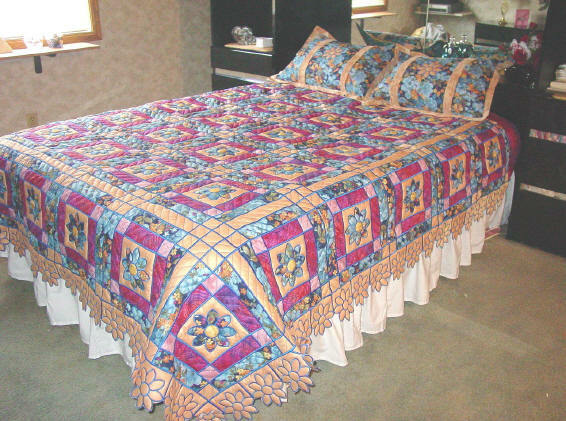 You can use contrast fabric, or not. 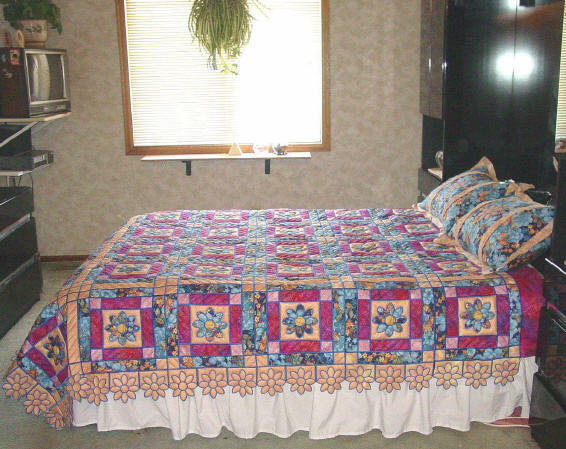 There are 6 panels (designs), and they have 4 quilting variations. You also get the daisy on its own with and without a loop, so you can create a 3D Daisy or an ornament. Please take note that the 5x7 set differs in that your quilt block will only consist out of these panels.